We were proud to take the home this year's trophy, after beating over 70 teams at the Charity Shoot. Through our participation and sponsorship of Candler Clays, cancer patients in our community have better access to clinical trials, research programs and state-of-the-art equipment necessary for the advancement of cancer treatment. 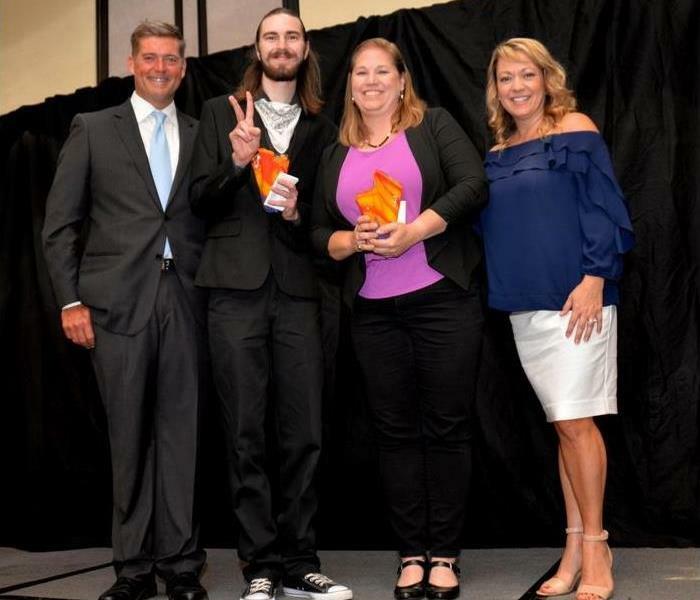 The 2017 event raised a record of more than $161,000 for advancements in cancer care in the Savannah region. Since its inception, the event has raised more than $1 million, benefitting the Nancy N. and J.C. Lewis Cancer & Research Pavilion at St. Joseph's/Candler. Each year, the Candler Clays event honors a cancer survivor or memorializes someone who died of cancer. 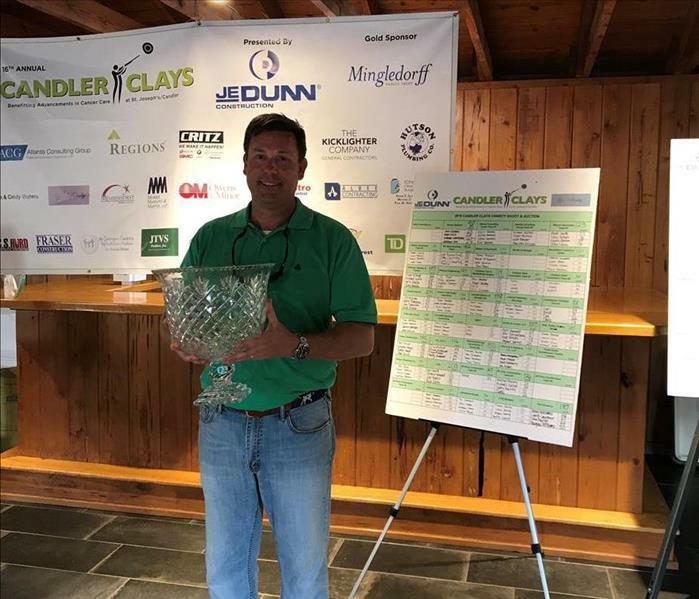 The 16th annual Candler Clays Charity shoot honors the life and courage of Louise Vaughn Lauretti. 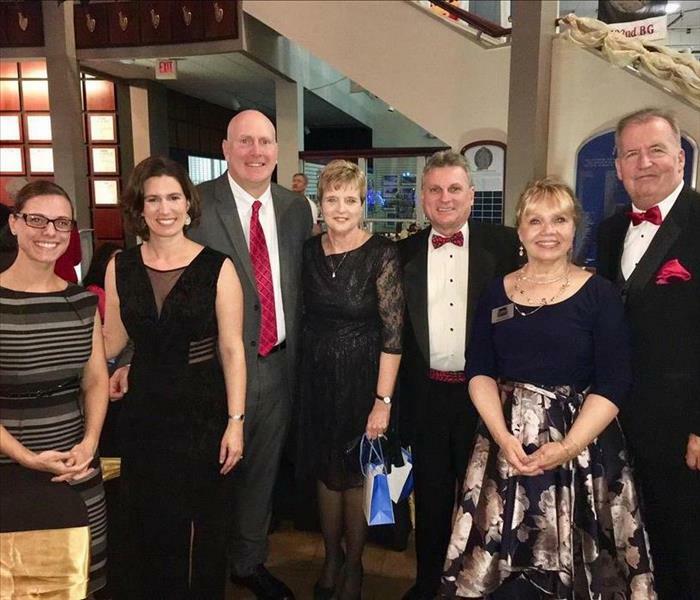 Our SERVPRO team was proud to sponsor the Fourth Annual Hearts for Heroes Red Tie Gala benefiting CASA for Children this past weekend. Our team is pictured here with Congressman Buddy Carter, his wife Amy, and Keli from Tanger Outlets, Savannah. 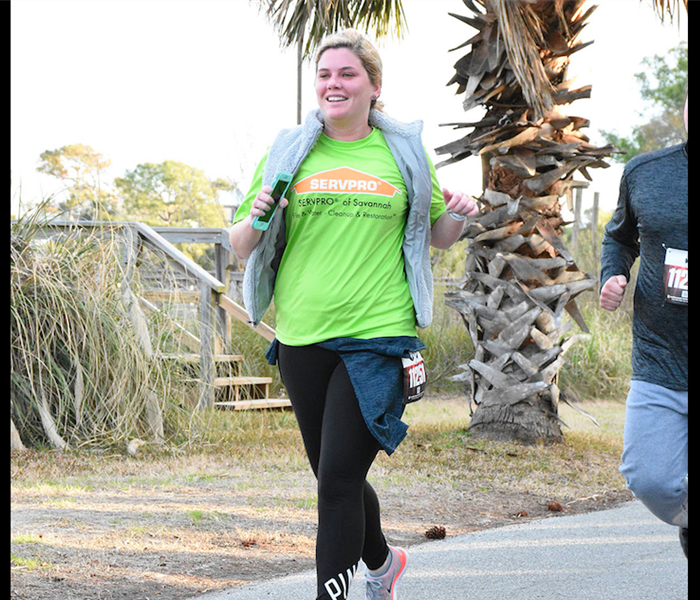 We were proud to sponsor the Critz Tybee Run Fest this year. One of our marketing girls took this as an opportunity to train and run in her first 10K all while repping SERVPRO! Our girls volunteering at packet pick up for the 2018 Critz Tybee Run Fest. SERVPRO was proud to sponsor this run that donates its proceeds to several non-profit organizations in the area. 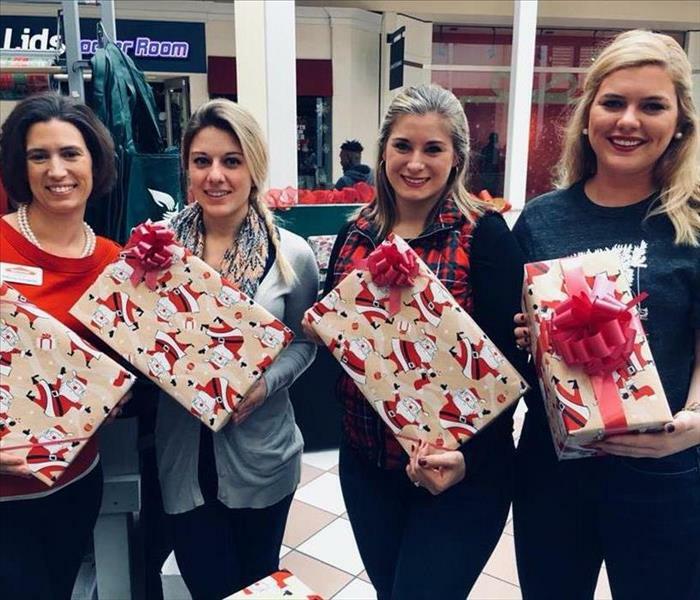 Our marketing girls spent a day wrapping gifts in the Oglethorpe Mall to raise funds for the Greenbriar Children's Center! 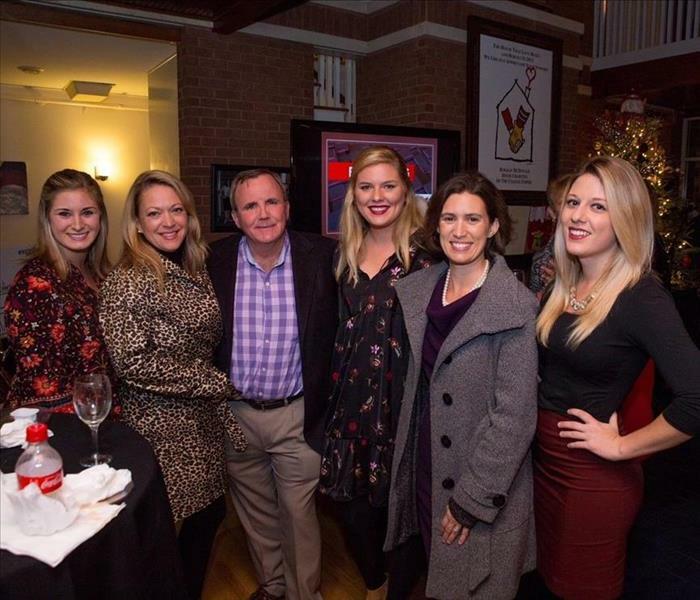 Our Marketing team with friend, Kevin Sheehan at Roanld McDonald's Wine and Fries Charity Event. We loved getting to spend the evening raising money for the RMHC and getting to tour the home! on December 15, 2017 you can find us at the Oglethorpe Mall wrapping presents as we volunteer for Greenbriar Children's Center. We had a blast visiting the center this morning! 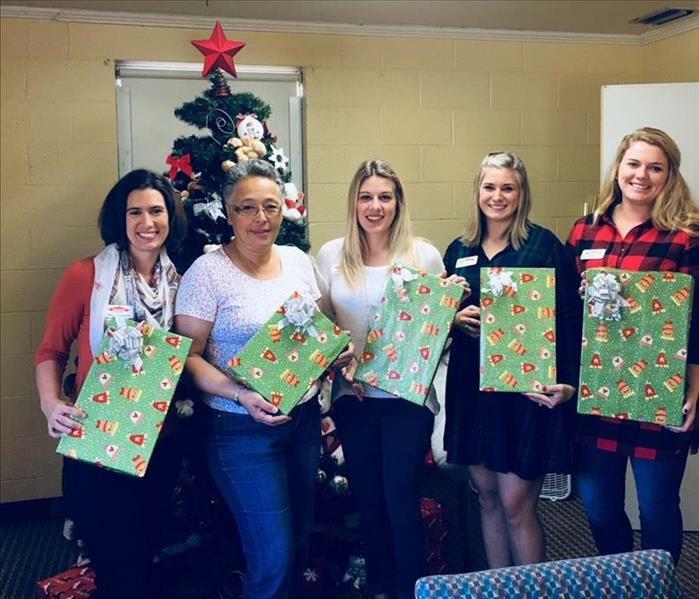 Come drop off your presents on December 15th between 9 am and 1 pm! 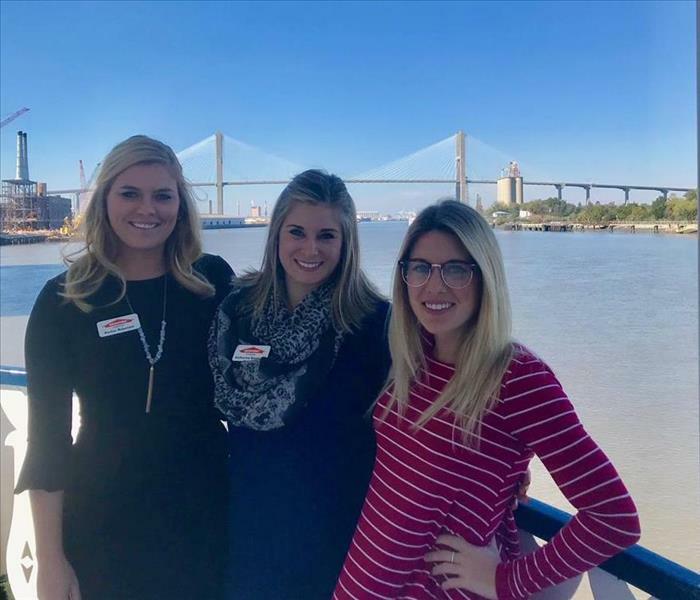 Our marketing girls were able to take a quick picture while attending the Tourism Leadership Council luncheon on the Georgia Queen river boat. 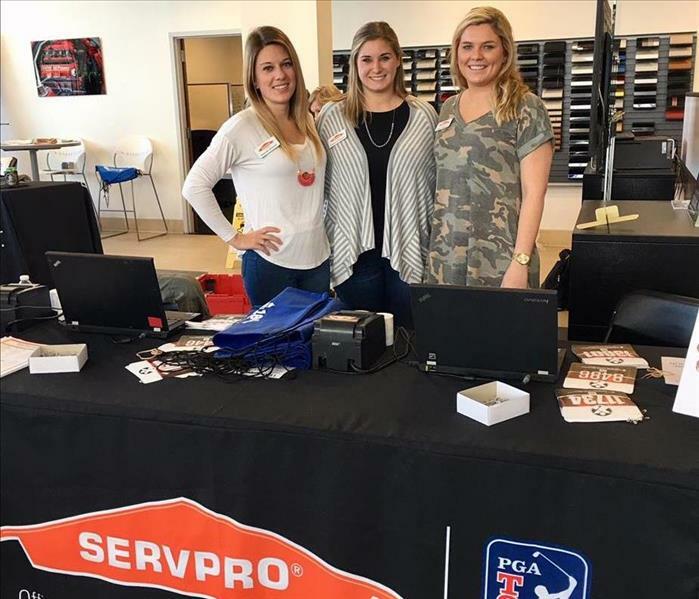 Did you know that SERVPRO of Savannah is one of the top 100 SERVPRO franchises in the world? Over the past few days the top 100 franchises were in Savannah for Elite Retreat. 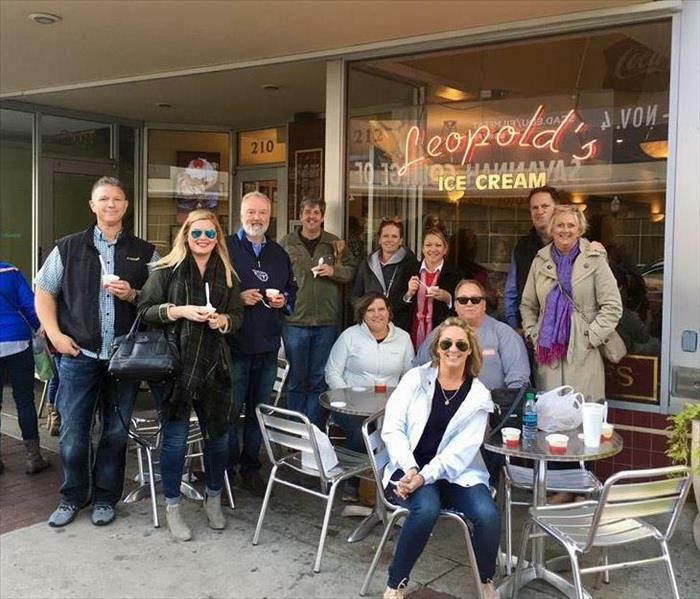 Today we had the pleasure of participating in a food tour of downtown Savannah with some franchise owners and SERVPRO Industries President, Randy Isaacson. 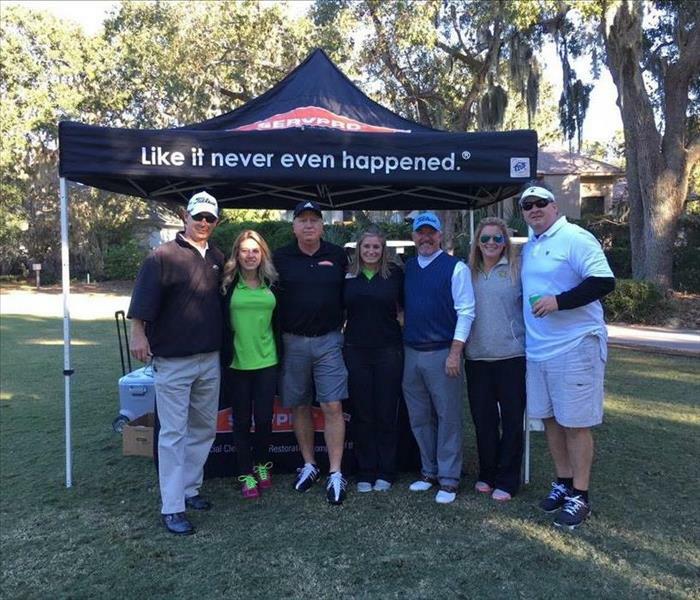 Our Marketing Girls and one of our SERVPRO teams at the Hospice Savannah golf tournament. The tournament took place at the Plantation Club at The Landings. 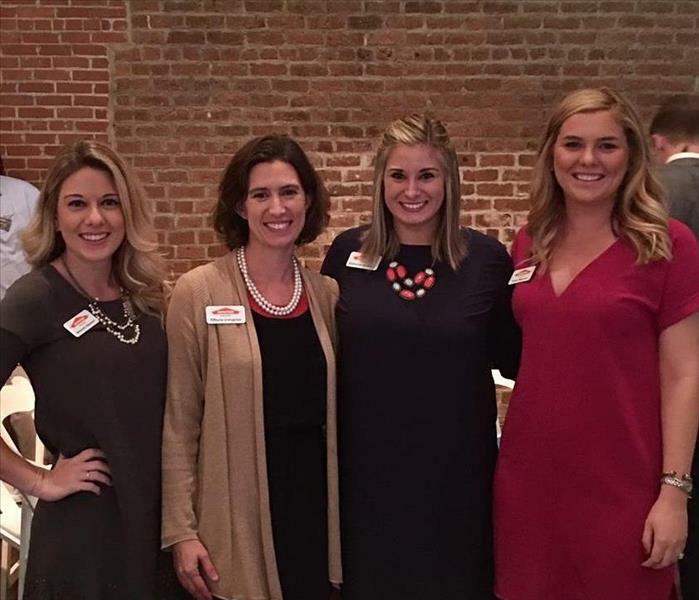 Our Marketing girls had the pleasure of visiting the Savannah Downtown Business Association's monthly meeting. LandingsFest is the last Sunset Party of the year at The Landings. There was a bounce house, face painting, live music, and food trucks. We are so excited to be one of the many sponsors of this event! 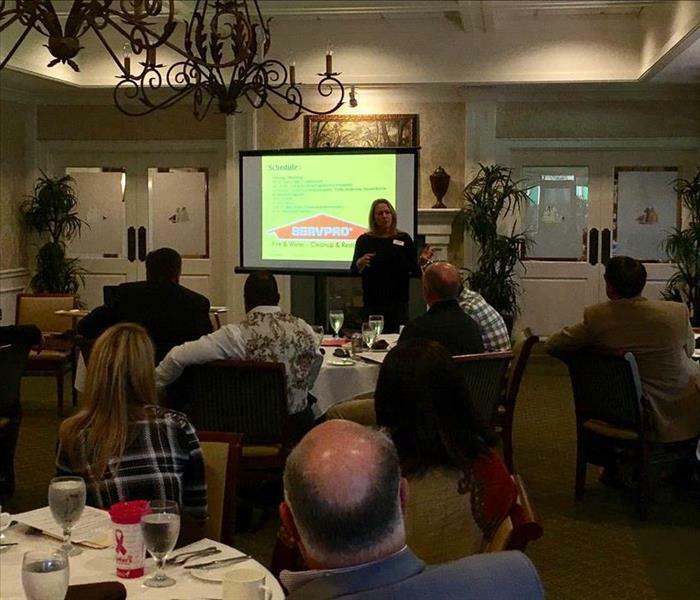 We had the pleasure of sponsoring Country Financial's Regional Meeting at The Landings. Here is Allyson Harvin speaking about how important it is to create a relationship with your insured and the vendors you work with. 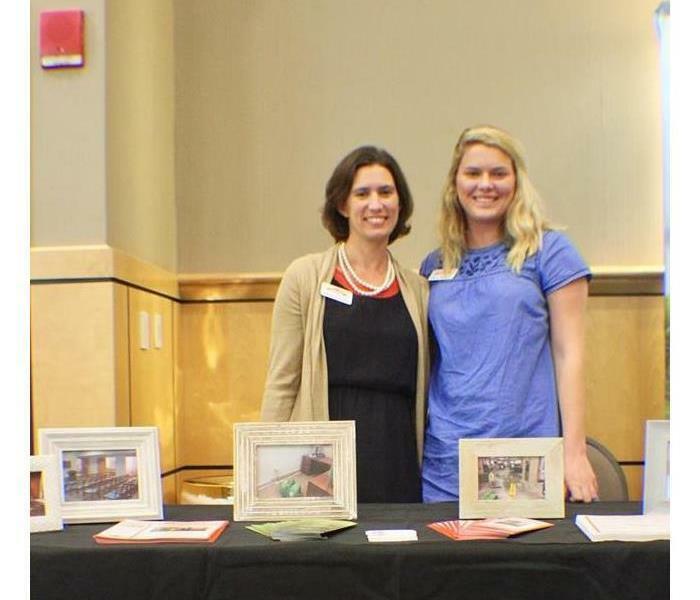 Our Marketing Team spent an evening listening to a few speakers present at Market South Management's Community Association Leader's Fall Expo. It surely was an informative event. Thanks to Market South, Coastal Insurance Partners, McCorkle & Johnson, LLP, and Alliance Bank for their presentations! 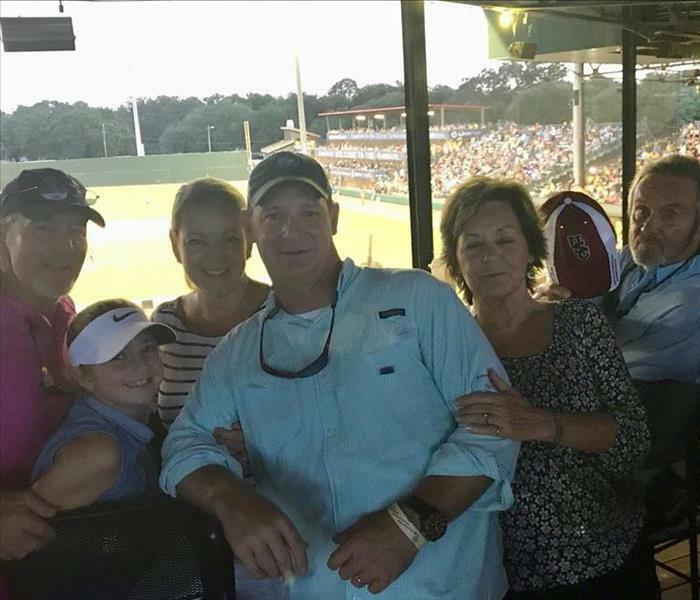 One Friday in Augusta, SERVPRO of Savannah spent the day with a local insurance agency, Bernard Williams. We spent the day completing two CE Classes with them. 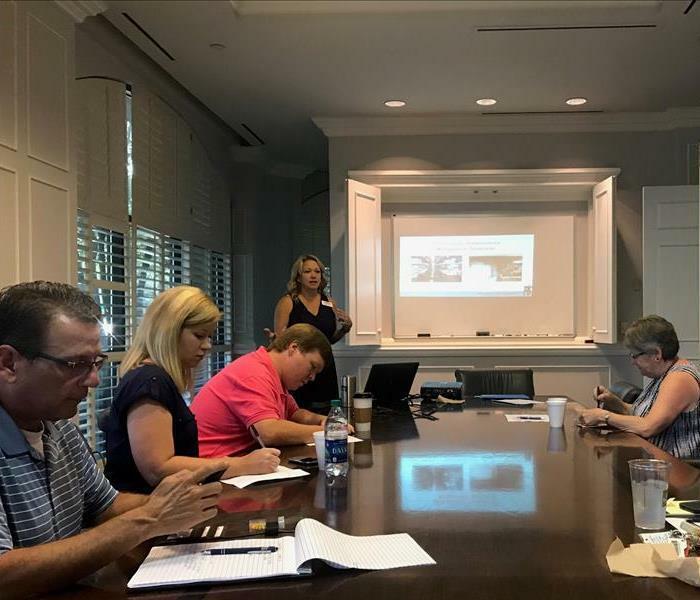 We love offering CE Classes to Insurance and Real Estate Agencies because it gives us a chance to explain what exactly we do. 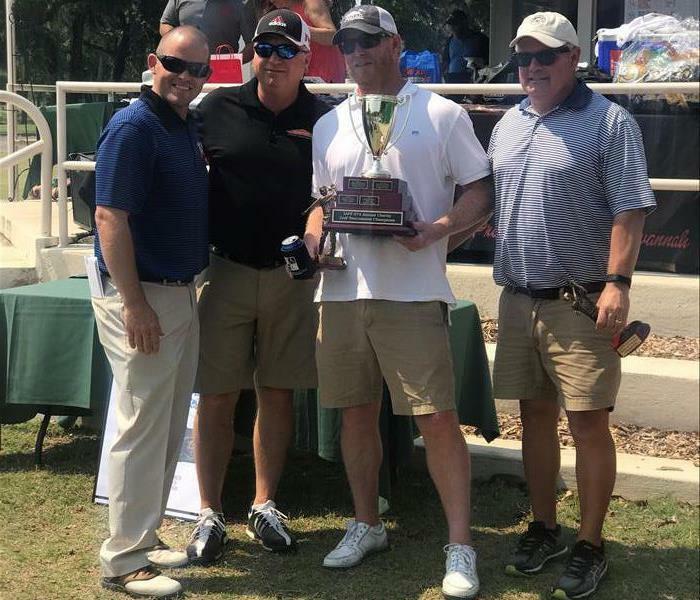 This year, SERVPRO of Savannah sponsored The Landings Association Spanish Mackerel Tournament. 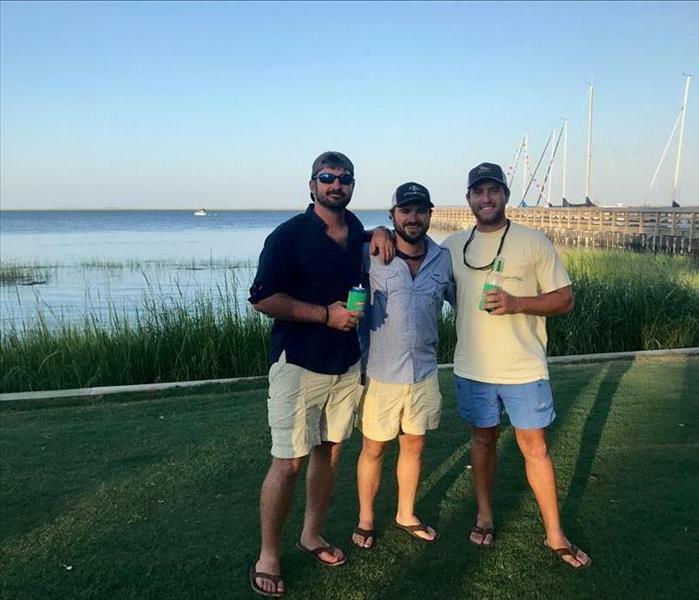 Our team members included Ryan Bacon, Beau Shiver and Charlie Smiley. We're so proud of our team for coming in first with a 5.2 lb Spanish Mackerel! 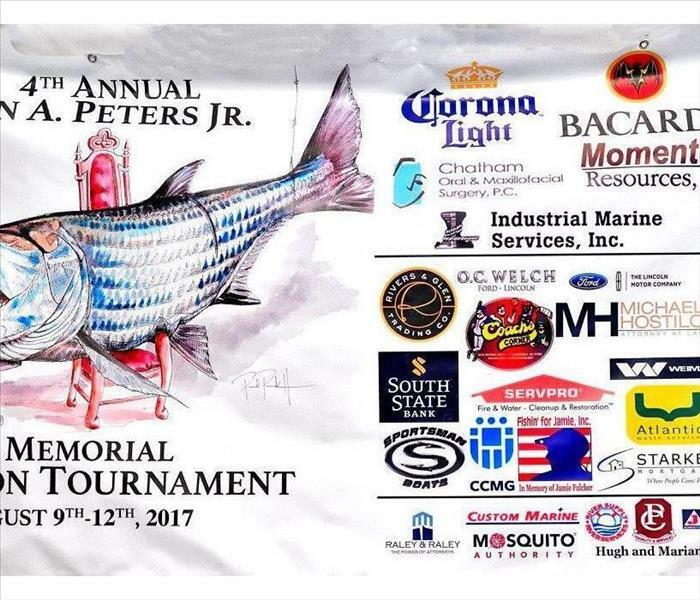 SERVPRO of Savannah is proud to sponsor this fishing tournament each year. Our owner, Blu Harvin, will be fishing in the tournament this year and we cant wait to see what he catches! 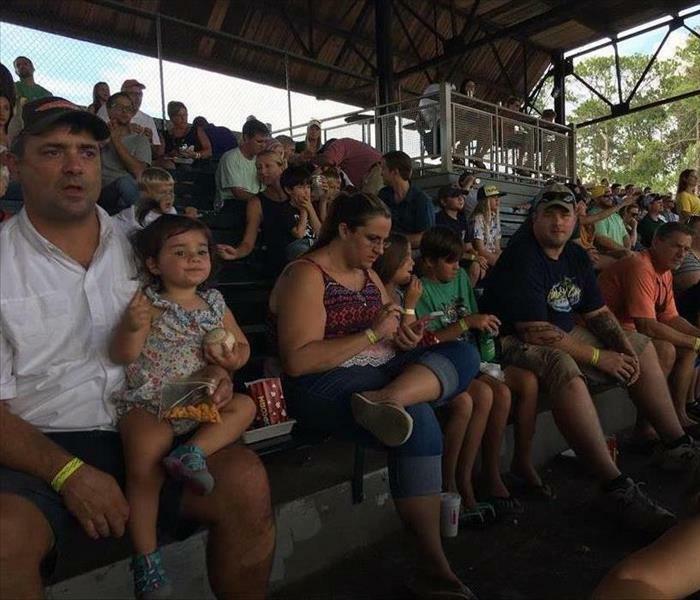 We had so much fun at our SERVPRO Family and Friends Banana's game this summer. We already cant wait to do this again next year! 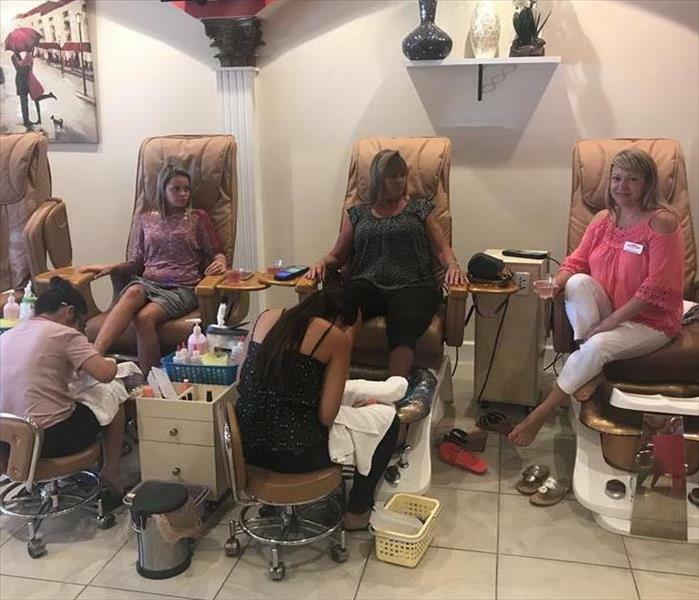 Owner, Allyson Harvin, has been involved with the Low Country Down Syndrome Society for many years. As a part of her involvement, she hosts Night of Champions each year. Here she is pictured with one of this years Champions! 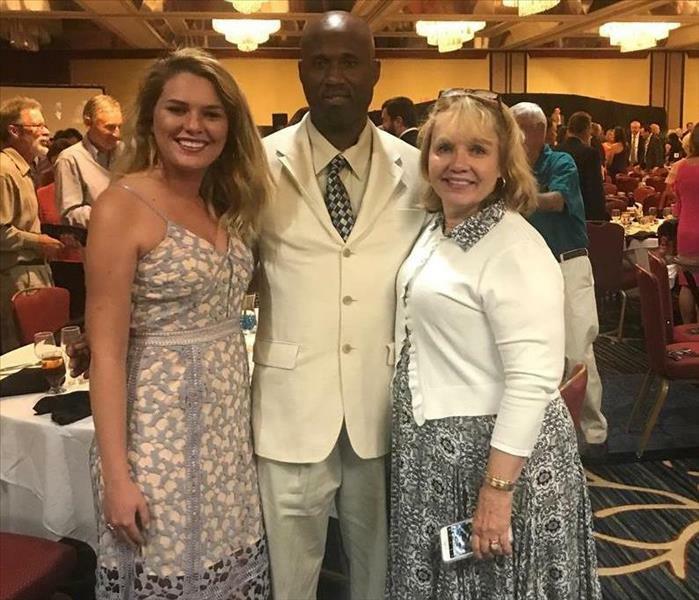 Parker Roberson (Marketing), Kevin Horton (Warehouse Assistant), and Sue Maxwell (Business Manager) after this years Night of Champions. We're so lucky to have Kevin on our team! He was a champion in 2011! 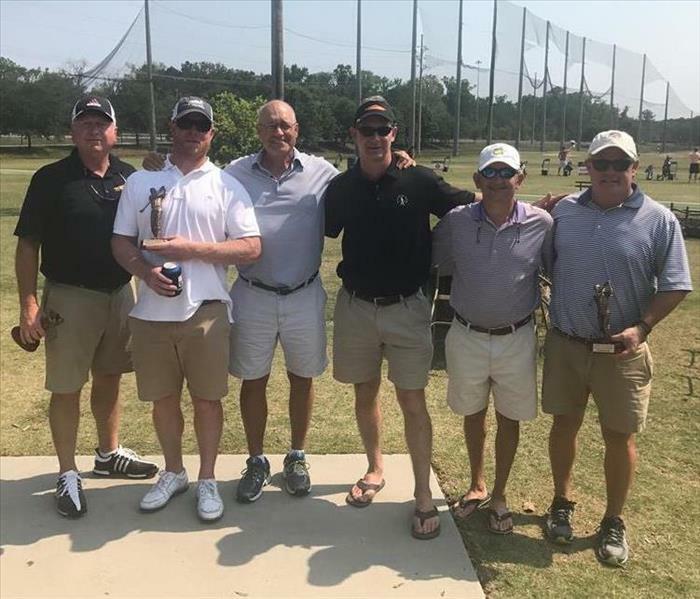 One of our SERVPRO of Savannah teams won this years IAFF Golf Tournament. We're so proud! 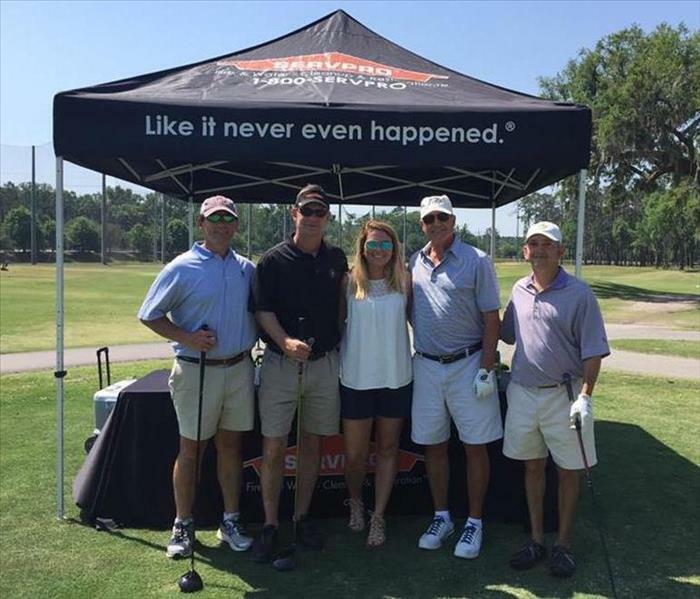 Each year, SERVPRO of Savannah participates in the IAFF Golf Tournament to show our support for our local firefighters! This year we had two teams participate in the tournament. SERVPRO of Savannah participated as a vendor in the Greater Savannah Apartment Association's Time Warp trade show. 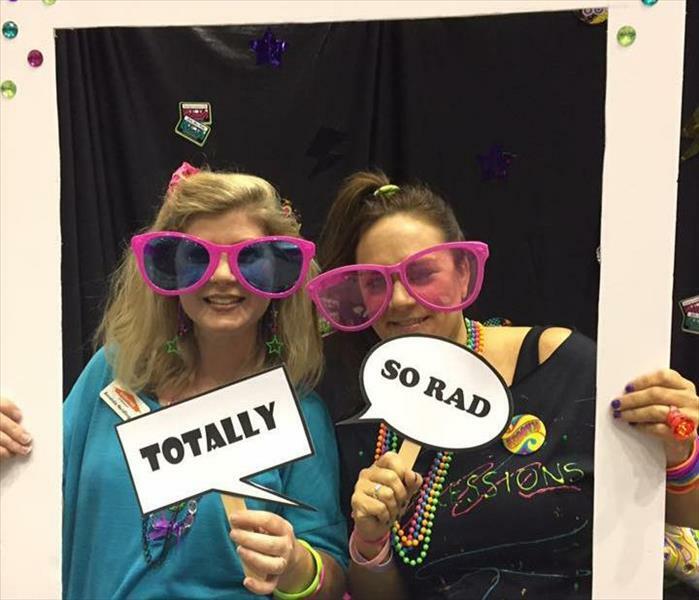 Our franchise was purchased in 1980, so what better decade to represent than the 80's!